Living on the edge, and daring to test your physical limits — some have made a career pushing themselves to explore the extremes of sport. From Hannah Teter (Olympic snowboarding champion, halfpipe), to Stephanie Gilmore (six time world champion in surfing), or Danny MacAskill (expert trails cyclist), these adrenaline junkies are anything but tame! In our everyday lives, we spend on average nine hours in front of a screen each day, maybe it’s time to wake ourselves up, and got that blood pumping…and I’m not talking about going for little jog around the block. Here are five extreme sports you should try at least once before you die. Classic extreme sports, alpine skiing and snowboarding are all about speed, technique, and style. For a lot of people out there, especially those living up a mountain these sports might not seem so extreme, but to those not accustomed to the world of winter-sport, the idea of bombing down a mountain on two wooden planks might seem at a least a little daunting. From the Apres-ski aspect of the sport, to the high that comes from gliding across a mountain, the wind rushing past your face, skiing and snowboarding are sports that everyone should have a little taste of. 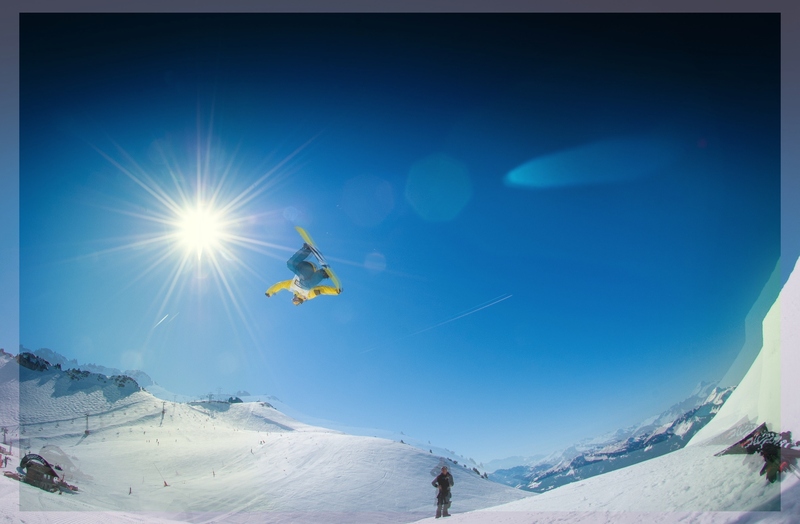 For a more extreme take on the sport, give off piste skiing, free style snowboarding (and skiing), or ski jumping, a try. One thing is for sure, once you’ve mastered any one of these forms of winter sport you will be the coolest kid on the slopes. If you think winter-sports might be for you click here for more info. If you have a fear of heights, maybe avoid this one…but if you love being up high with a view as far as the eye can see, this sport may just be for you. This one requires a lot of concentration, endurance, and core body strength! The great thing about rock climbing is that indoor walls provide a in a low risk environment where you can really give the sport a try, get to grips with the basics, until you’re ready, and qualified to take on a real rock face. There are of course many different forms of climbing, some carrying more risk than others. Take free solo climbing, which basically involves no ropes, protective gear or harnesses…its highly dangerous and really only reserved for the hyper-adrenaline junkies (and highly experienced rock climbers out there). Other forms of rock climbing (less likely to result in sudden death) include mountaineering, top rope climbing, or sports climbing! This BBC article covers everything you need to know about getting started. Be at one with the waves…or something along those lines. Surfing has to be one of the coolest sports around. With your board you are literally treading water, floating above the sea, just you and the ocean. It’s one of the sports I have always wanted to try, and someday I’ll get there. Of course this one is not as easy as the professionals make it look. Balance is key and pure muscle strength is 100% necessary if you want to look like a seasoned expert on a board. With the help of wave machines, surfing can be accessible in locations all over the world (not just the surfing paradises of Hawaii, Australia or Portugal). Take the Eisbach Welle in the middle of Munich city center, a man-made wave on the river that runs through the park. Everyday surfers gather to take it in turns on the wave, practice their moves, and get down with their surfing skills. For more information on how to get started with surfing have a peak at this guide by Degree 33 Surfboards. Ok, so this one gets more extreme the better you get. Slacklining involves balancing on a slack-line, which can be hung, well anywhere you choose. Between two trees, just above the ground in a quiet park (for all those beginners out there), or between a wide canyon, 100ft above the ground — take your pick! This extreme sport is all about persistence, practice and pushing your body’s senses. From bringing new tricks to the table, to going beyond what people though could be possible. One thing is for sure, you have to be pretty fearless to take this challenge on, and for all those starting out, patience is a virtue, and it’s a lot harder than you might at first think! Check out this article on tips for slacking-greatness from Redbull, the masters of extreme sports. It’s time to hit the trails, get back to nature and work with your bike. Mountain biking takes a lot of skill and quick thinking. A popular sport across world, it requires a lot of nerve. Moving, swerving and jumping over rough terrain, why not take on the challenge?